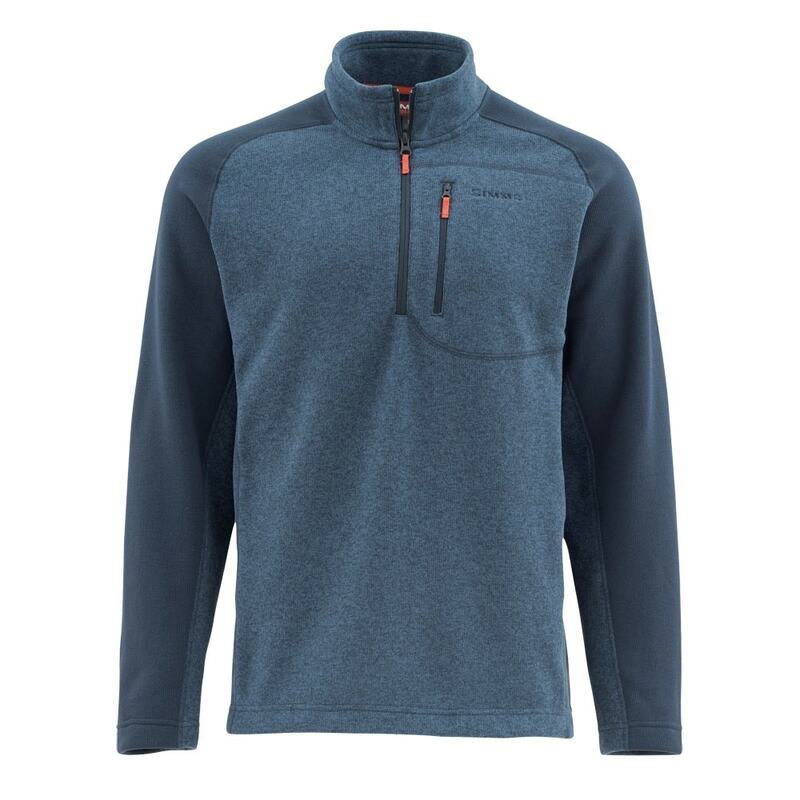 The Simms Rivershed Sweater is a classy high-tech layering solution that performs well whether you are out fishing or sharing fish stories in the lodge. 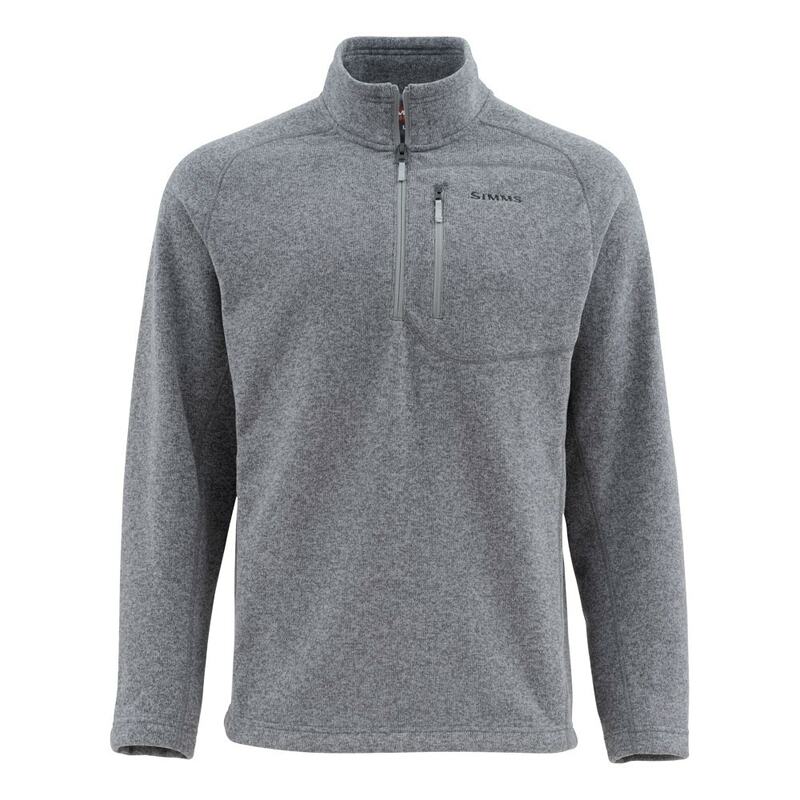 A no-pilling quarter zip for inspired angling antics, Simms’ Rivershed Sweater conspires against the cold with a warm 250gram sweater fleece façade. 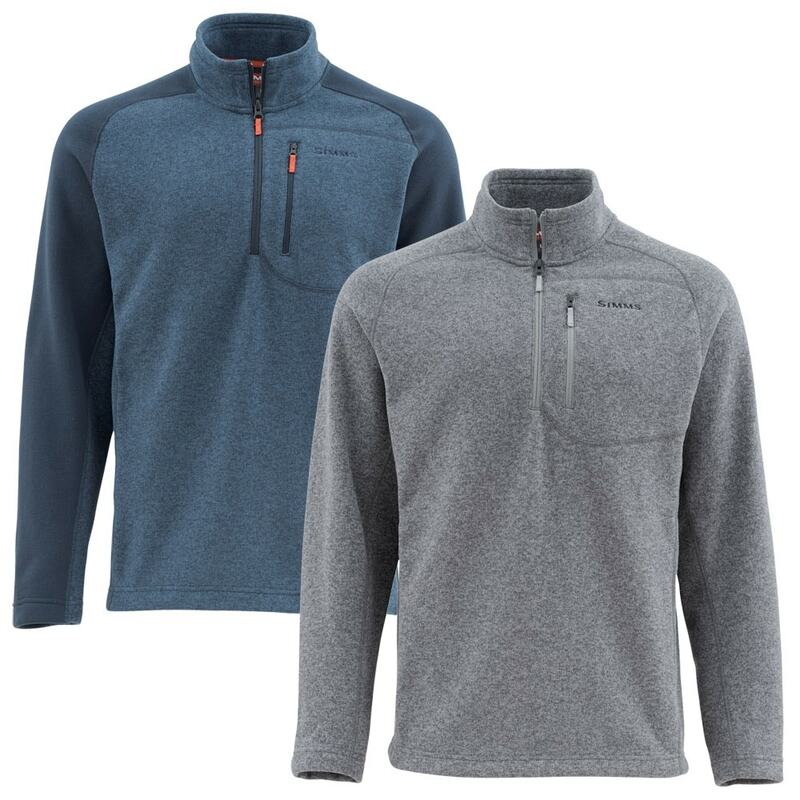 Two-way stretch bolsters mobility, while the zippered chest pocket delivers convenient storage for essential fishing items.